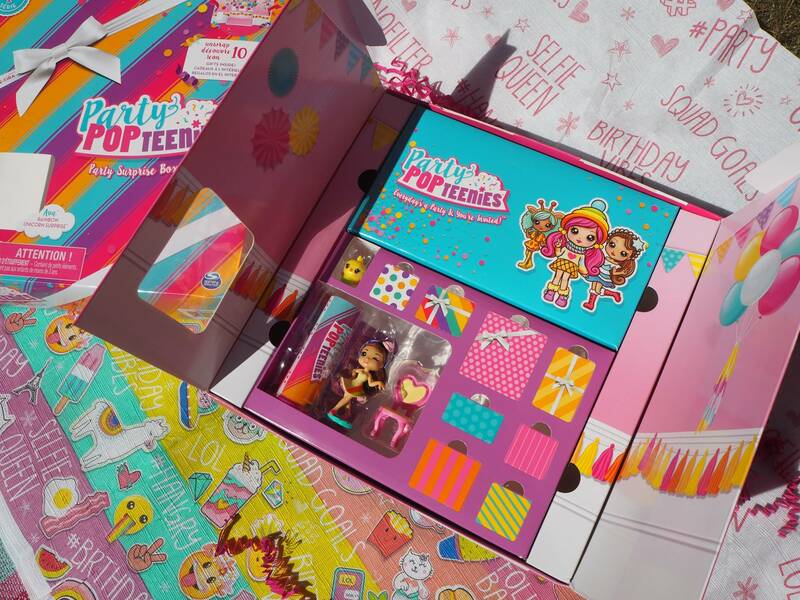 Party Popteenies…When Everyday’s A Party! If there is one thing that is talked about all year round in our house, it’s parties. 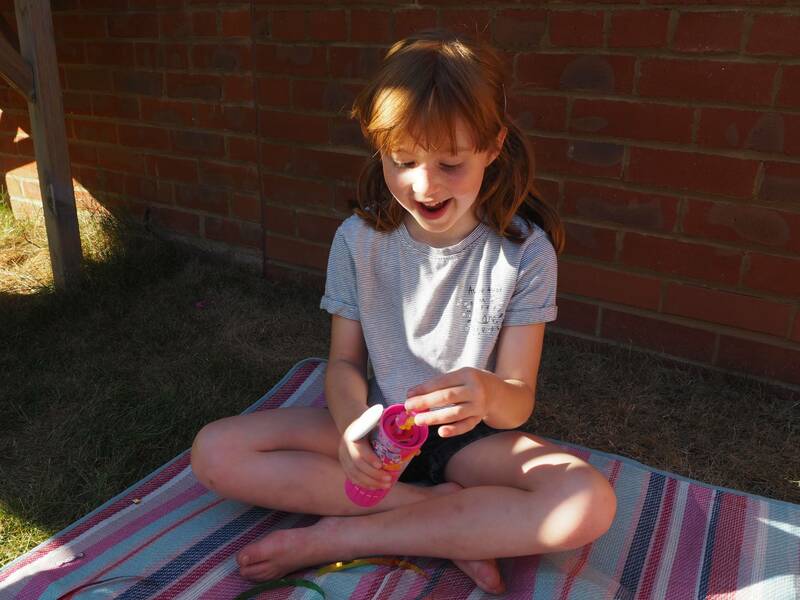 The minute Alice’s birthday party is over, she starts talking about her next birthday party, a whole year away!! Everyone loves a party and when we were recently sent the latest craze to hit the high street I knew Alice was going to love it. 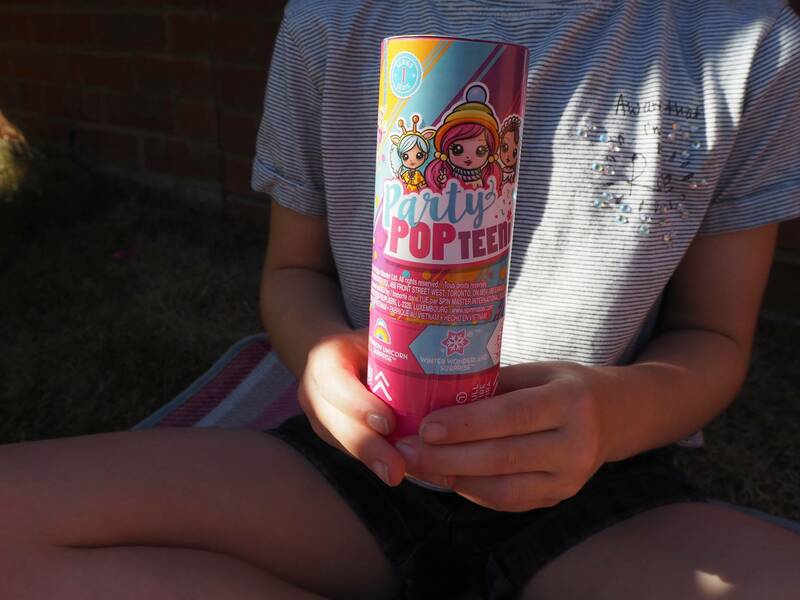 I introduce to you today…Party Popteenies, when everyday is a party and you are invited! This is every child’s dream come true and Alice’s eyes nearly popped out of her head when she saw them! What are Party Pop Teenies? They are the latest party craze that will be hitting the UK on the 6th July 2018. 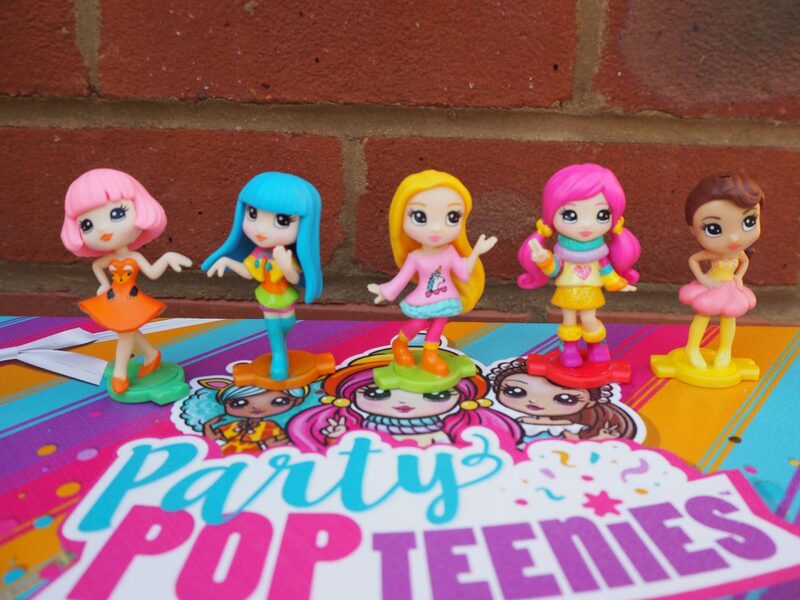 All you have to do is pull, twist and pop to find out which Party Popteenie will burst onto the scene in a cloud of collectible confetti! Alice loved it! 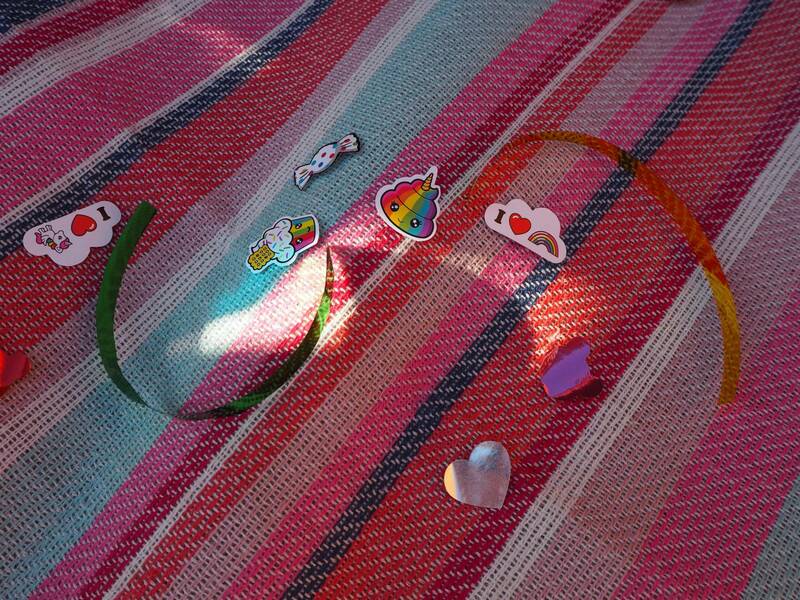 There were 4 party poppers inside the draw and we were lucky that we each one had a different doll inside. 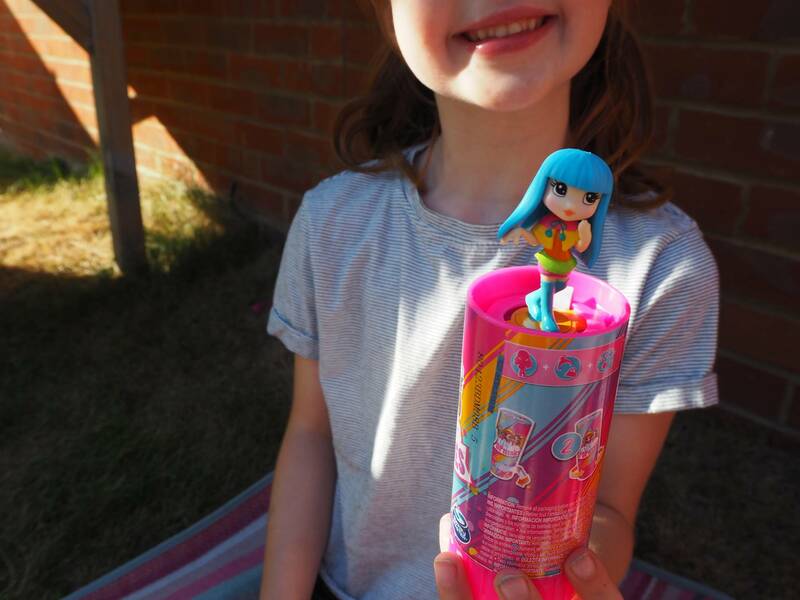 Once you’ve popped it, you can unlock the doll and she is yours to play with and collect. 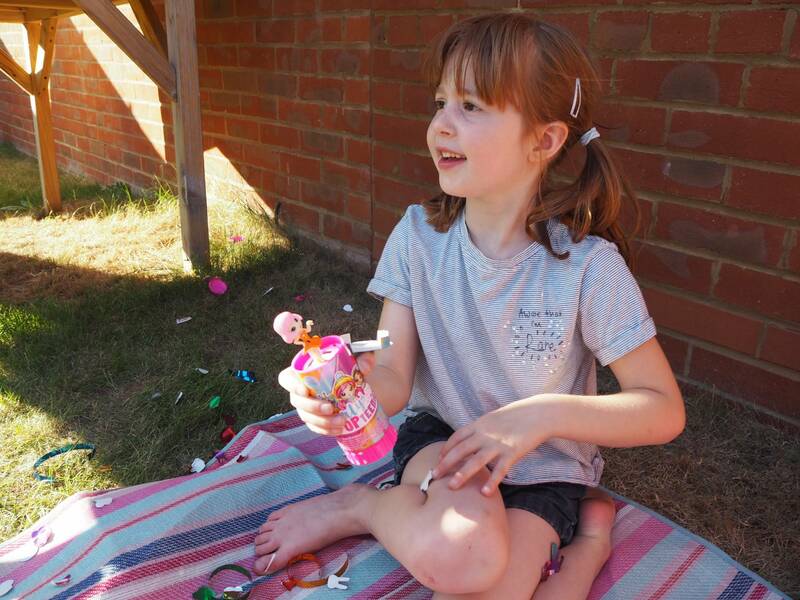 The double surprise party popper is twice the excitement, pop the first popper and discover which doll you have. 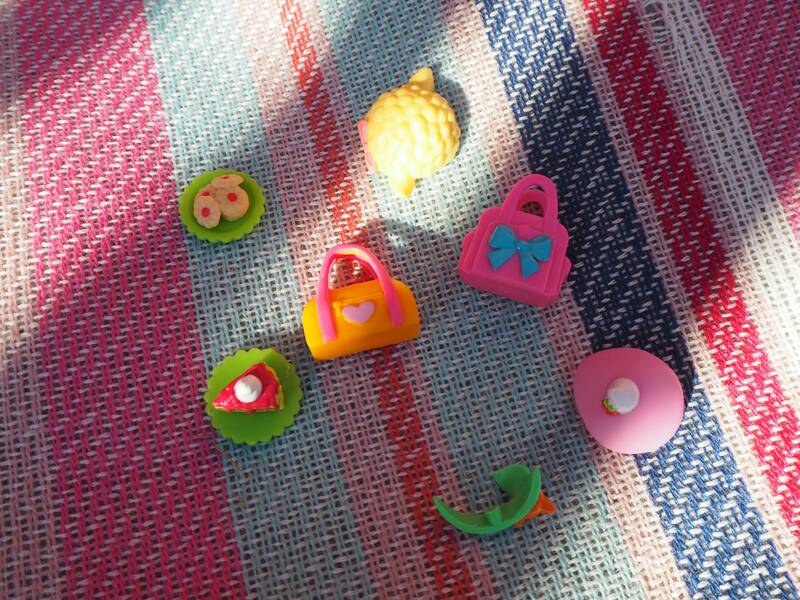 Then pop your second popper to see which party accessory you will get. Alice got the birthday cake and couldn’t have been more happy with it. 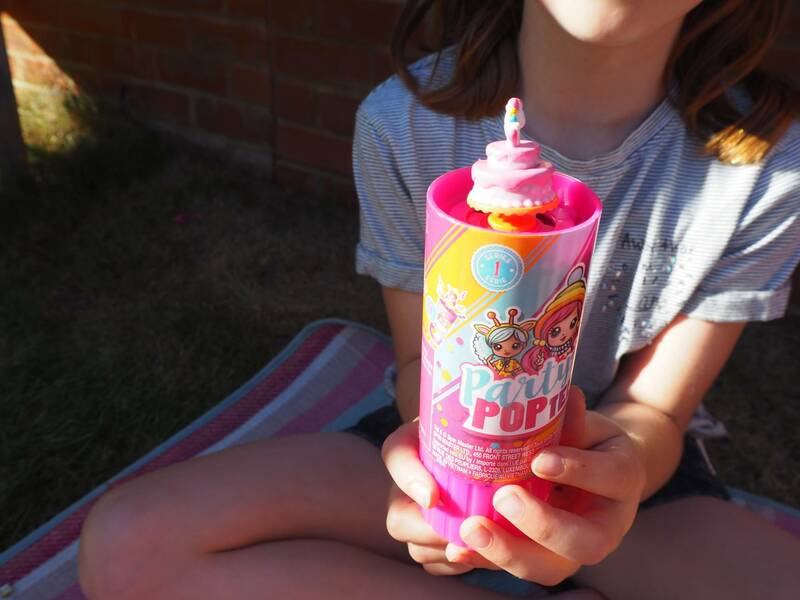 Each of the party poppers come with a small bag to open once you’ve popped the popper and it contains an accessory for your doll. We got bags, cakes, biscuits and hats. Even all the confetti that pops out is fun for them to play with. 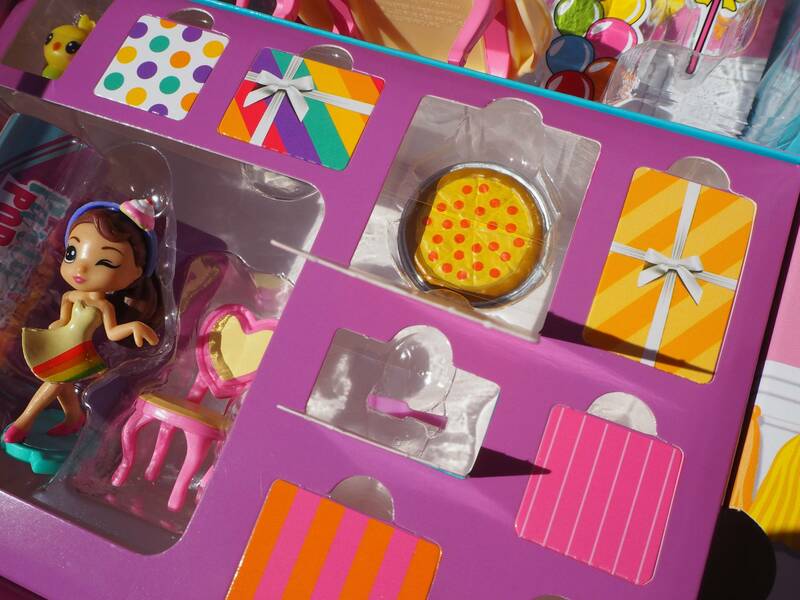 The Party Surprise Box come wrapped like a gift, with a window to see what is hidden inside. There are lots of presents for you to open, a bit like an advent calendar. Which was very exciting and behind each one is a little accessory. 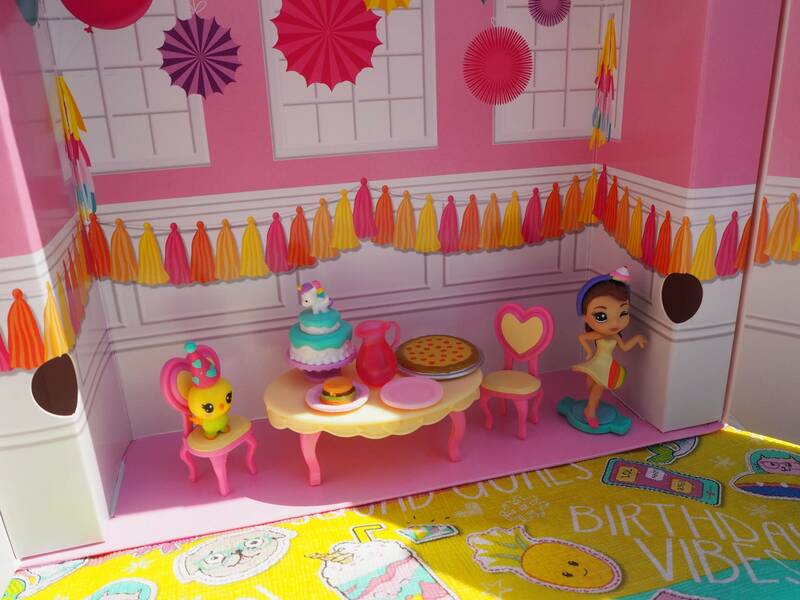 Once you’ve opened everything the box transforms into the party room for you to play with. This provided lots of fun for the girls to play with. 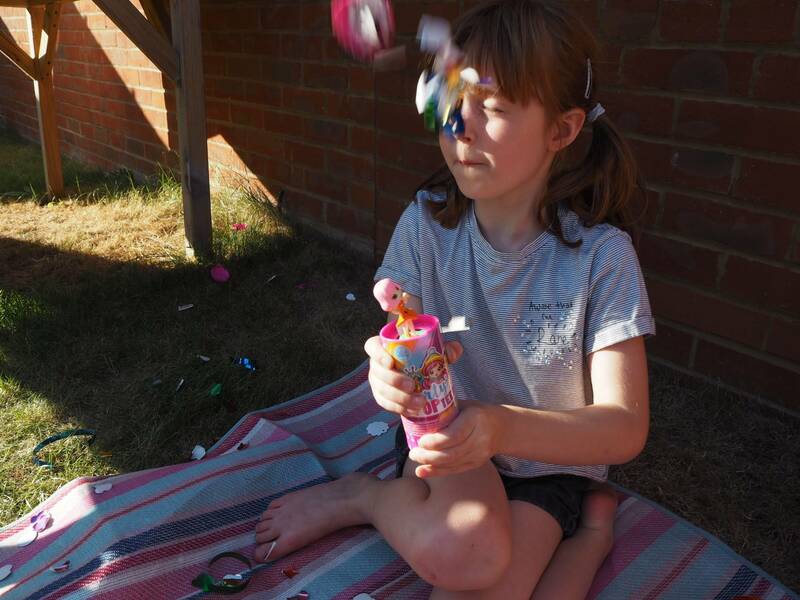 Especially once they had finished popping all the party poppers and had lots of dolls to join in. 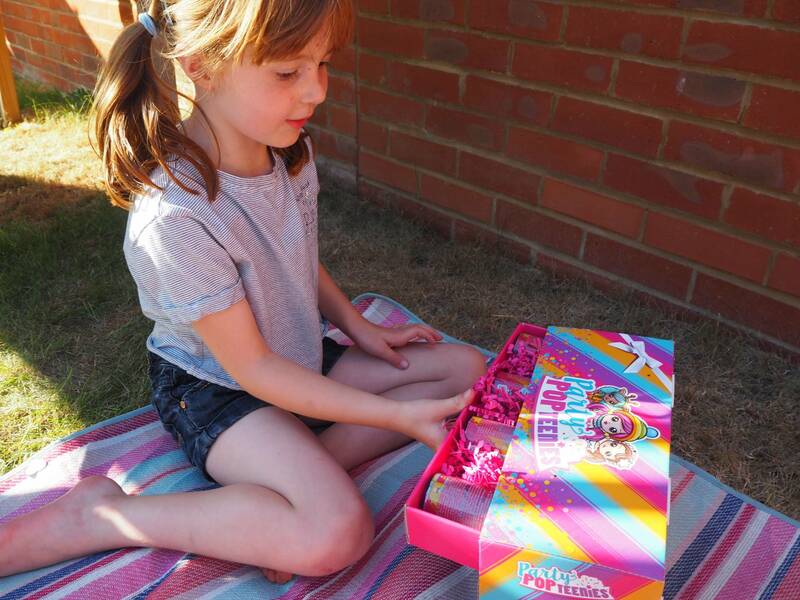 The Double Surprise Popper RRP is £9.99 and the Party Surprise Box RRP is £14.99. You can preorder them now ahead of the launch of 6th July at Smyths Toys. Looks like so much fun and a toy I would have loved when I was a little girl! Is it bad that I would actually enjoy one of these haha, something about the little pop up that’s so cool. Honestly though I know my eldest would love this, he loves surprise toys. I love how the box transforms into a party room! Whatever will they invent next!